Rose-rasberry oolong - Monsieur T.
With its rosebuds and raspberry leaves, this oolong can be described as delicate and pretty. The kind that would make any biker-power-death-metalhead lift the little finger. Because, you know, deep down they're very sensitive. Back on topic. This tea is not only pretty, but also delicious. 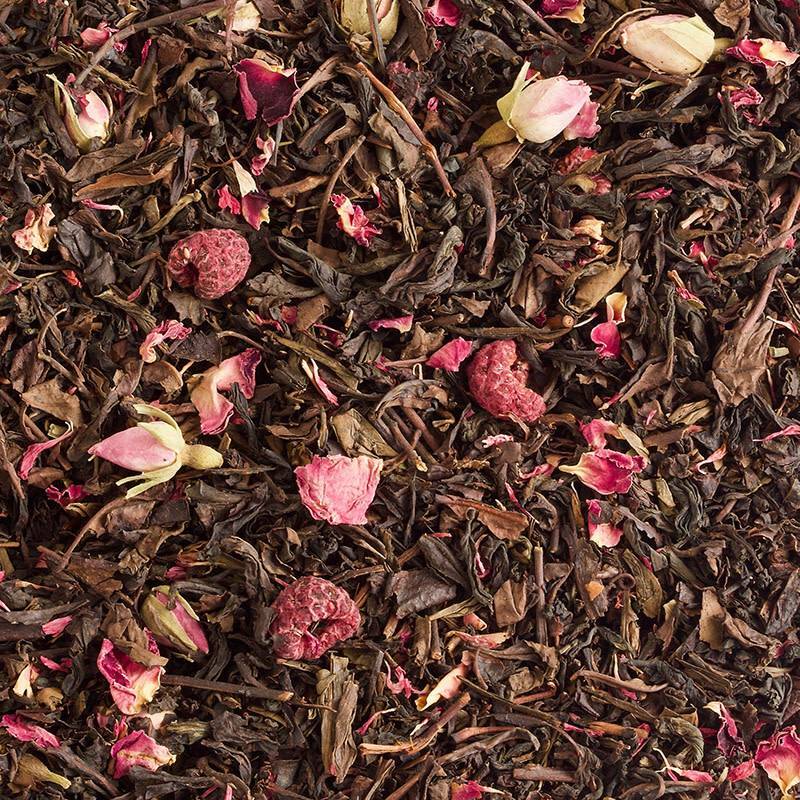 A touch of fruity subtlety with the rose that perfectly complements the floral side of oolong tea. A delicate jewel of a tea. Contains: Oolong (91%), natural flavors, rosebuds, rose petals, raspberries, rose petals of Centaurea cyanus.